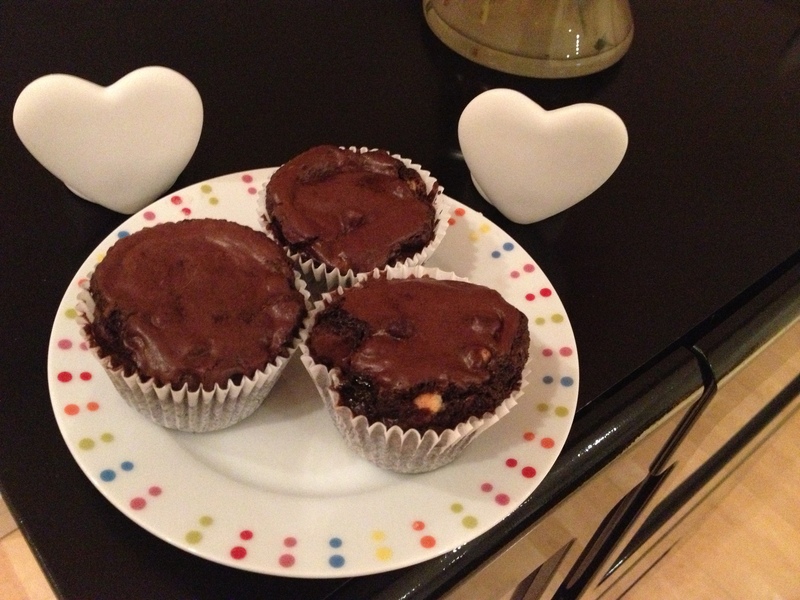 So, my first food blog…eeeeek! I have wanted to tell people about this delicious yet super decadent treat for AGES! 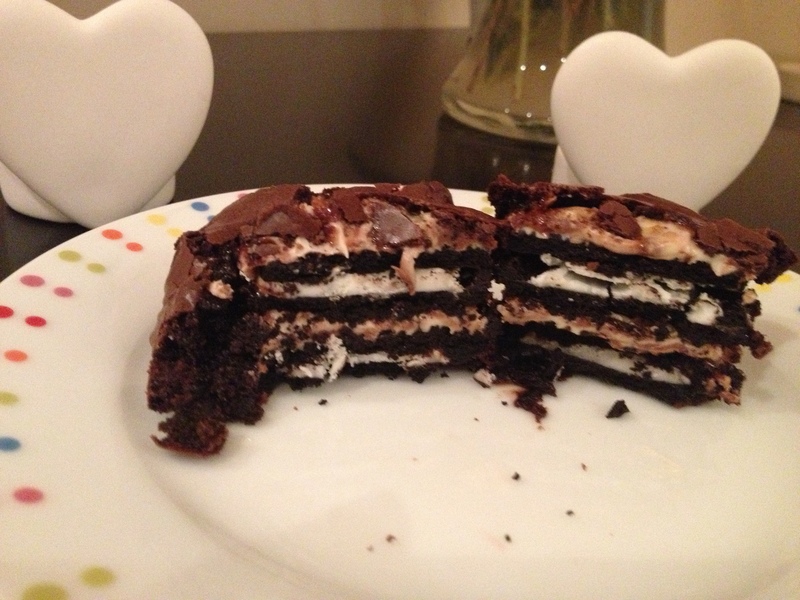 I first made them back in 2013 (after finding them on Pinterest) for my housemates and they went down soooooo well!!! Add in the eggs one at a time. There is a chance of this going wrong and curdling…add a small spoon of flour to stop this happening! NEXT you need to prep your oreos. 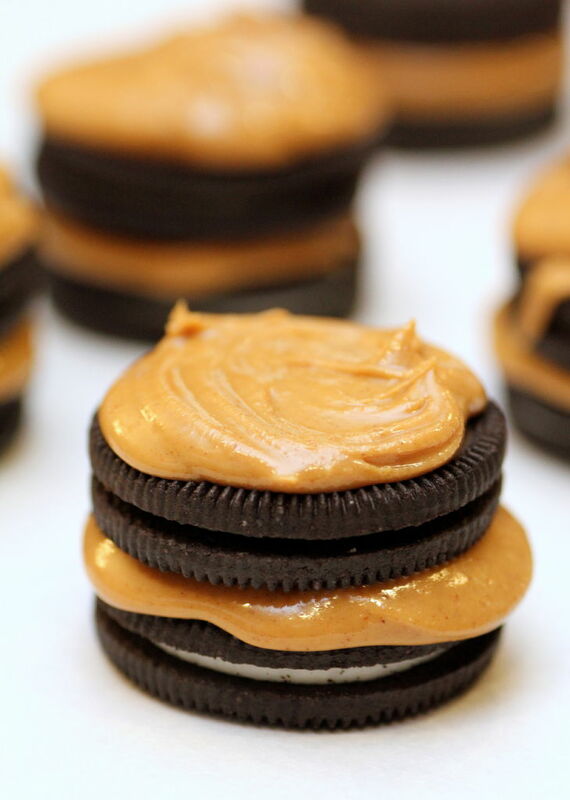 Basically… just smear them on one (or if you like a lot of peanut butter both) sides with peanut butter. Pop a small spoon full of the brownie batter into the bottom of each cake case. Cover your stacks with the brownie mix (you need to TOTALLY cover them so you can’t see the oreos or they will burn in the oven. Pop your creation in the oven for 15-20 minutes. The brownie should be firmish to the touch but still a bit gooey! Let them cool in the tin for a little bit then pop them on to a wire rack to cool fully. I hope you enjoy these treats, let me know how you get on with making them and if you have any genius ideas on ways to improve them!! I have made these with a caramel spread instead of peanut butter (a strange person who didn’t like peanut butter asked for it!) and I THINK you could use a nice thick raspberry jam or curd to make them a bit different and fruity! P.S. sorry for the crappy pics!!! BUT, I have now hit that age when I am starting to REALLY care about my skin and how it will look in a few years time. Over the past year or so (probably more) I have been taking better care of my face…here’s how I do it! 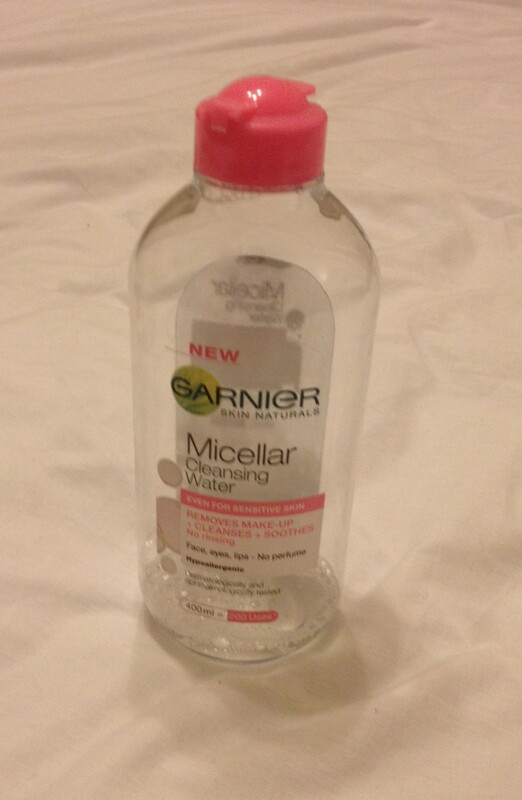 I start every morning with the Micellar water (honestly, this stuff is a DREAM), it removes any traces of make-up I may have missed the night before & just gets rid of any grime that may have built up over night! Thanks to the gorgeous Alice (anniewritesbeauty.co.uk), I keep mine in the fridge, the cold water in the morning is SO refreshing and really helps when you have puffy eyes! Next, something I don’t do EVERY day because I read somewhere that it actually want good for your skin (if anyone knows differently then let me know!!) 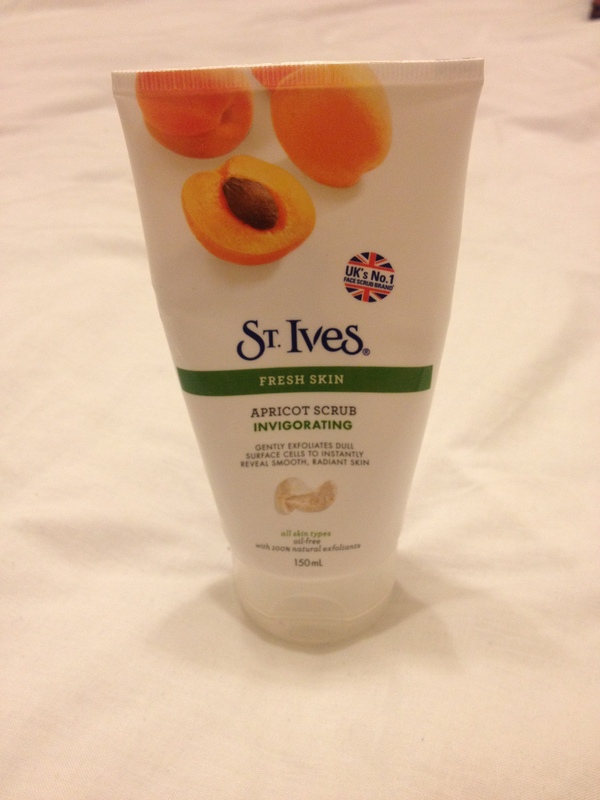 St Ives apricot scrub. I am sure you all know about this joyous product by now but if you don’t… I find it is a really gentle exfoliator that still gets rid of my dry skin. They have a few different versions of it, I have tried the “anti ageing” one and am currently using the “invigorate” version… There is a difference but I couldn’t tell you what it was as it was SO long ago that I used the other version!! I use this in the shower and make sure I rinse my face with cool water when I am finished, mainly because a dermatologist told me to! I really hope I am not the only one here but as soon as I get out of the shower I feel like my skin has had ALL its moisture sucked out of it! Its AWFUL. It feels so tight and gross I am always desperate for some moisturiser! A while back I visited my favourite make up counter for some tips, I was having my brows done at the same time so the lovely lady gave me skin care tips 1st. She used the Benefit Toning Lotion on me before applying moisturiser and I was AMAZED at the difference. I have NO idea of the science behind it but what I do know is that it felt like the moisturiser sank deeper into my skin and it lasted MUCH longer! I was converted and now the toning lotion is my go to item! I have a mini bottle (8.9ml) that I use for travel, I filled it up before going away for 10 days and I came back with a half full bottle, showing that a little really does go a long way! The “instructions” say use a cotton pad to wipe it across your face & neck but I just use clean fingers and I find it works better for me! Finally, the best moisturiser I have EVER found (I am open to suggestions of new ones but it will be tough to beat!) 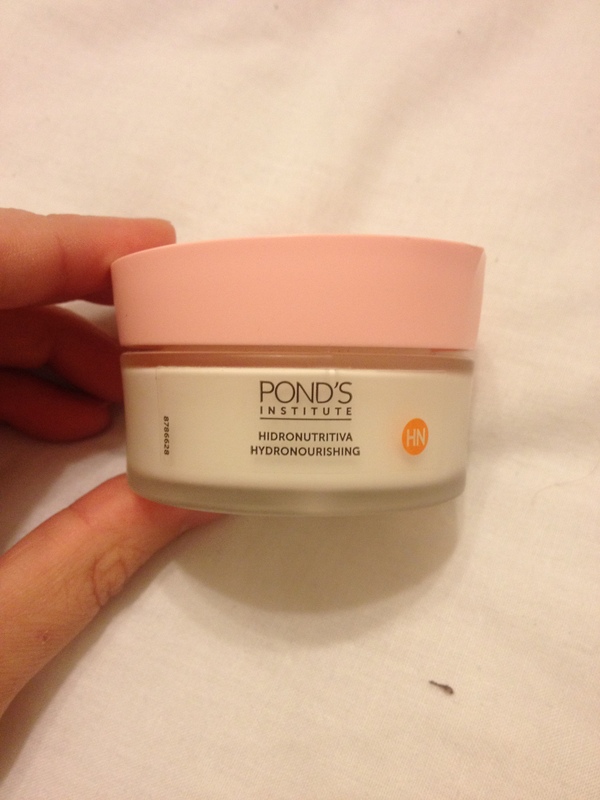 I came across Pond’s when I was looking for a new but cheap moisturiser, I was BROKE but needed to keep my skin hydrated! 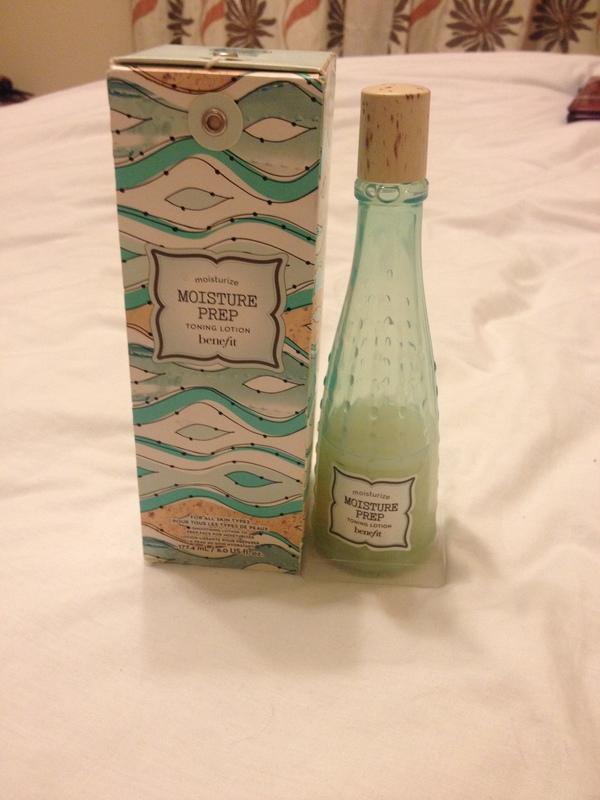 This was on offer in Superdrug at the time for about £2 I think (it is usually only £4.99 anyway!!) so I thought I would give it a go. Wow am I pleased I did! It is a really rich formula that goes a long way. My skin feels AMAZING once I pop it on and it stays hydrated all day which is awesome. They have a few options in their range but I use the Hydronourishing one. Funnily enough a resident at the care home I used to work at asked my how I keep my skin so nice, when I told her I used Pond’s she giggled and said she used to use that as a girl too!! 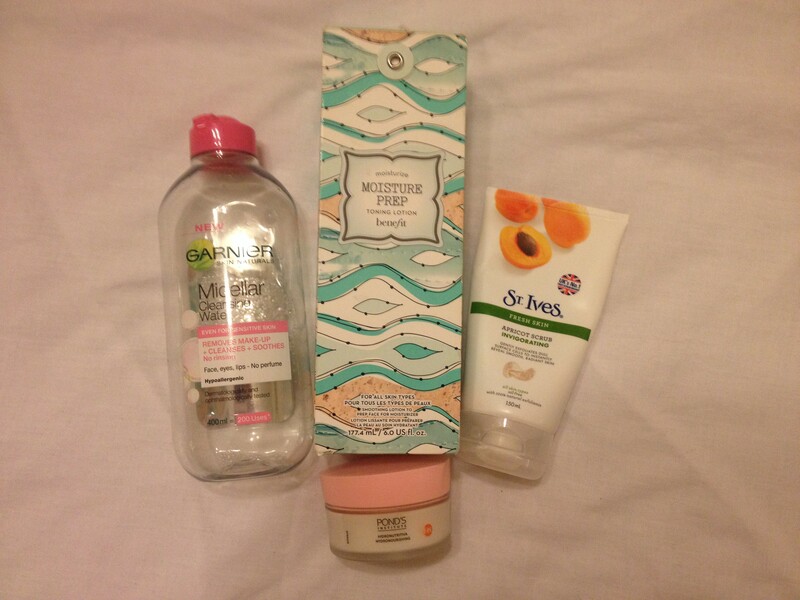 So that, in a nutshell is my 5 minute skin care regime for the morning! I do use an eye cream too but that really depends on the day and which one I feel I need! I am sure I will tell you all about my choices at some point! This little ritual has given me such good skin that a lot of the time I can go out with just eyeliner and mascara on and not worry about faffing with foundation etc! What about you? What are your tips & tricks for bright morning skin? I have been debating starting this for such a long time. I have blogged on stuff before (gemmafox5.wordpress.com) and I LOVED it, problem is, I just don’t write often enough. I always want my posts to MEAN something, to be useful to others or to be cathartic for myself. This time round I feel that each post I write will (hopefully) be useful to at least one of you so I am more likely to write more often! I apologise in advance for the almost certain overload of Benefit related posts, I LOVE their products, and use them almost exclusively. I am pretty open about this but I will always say when I don’t like a product (I have been known to tell the ladies at the counter my HONEST opinion on a concealer!). I am happy and open to trying new products (I have a skin care review up my sleeve which is NOT Benefit related). I also want to provide budget friendly options…I am NOT rich enough to have the most expensive products in my box so you will see some bargain choices crop up here & there.